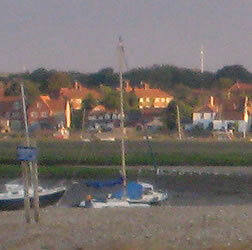 Jolly Sailor Cottage is located in the East End, one of the oldest parts of Wells-Next-The-Sea. 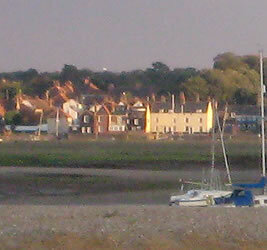 A quiet location, yet just a few minutes walk from the busy town and quay. Our house, Jolly Sailor Cottage, is what is left of a much larger number of properties once owned by our family. Once part of a neighbouring property, East House, and previously divided into two properties, it was most latterly lived in by by Tom and Margaret Dack who used it as a holiday cottage before retiring there in the 1960s. For the next 40 years, the cottage was a familiar and beloved place for visits and holidays for their children and grandchildren and, later, great-grandchildren. Tom lived in the cottage until the age of 99 when, after a short illness, he passed away. The cottage underwent extensive renovations so that it could be used as a commercial holiday let - the only way to keep the cottage in the family and ensure that it would be available to future generations of Tom's family. Tom loved the East End, and we like to think that by keeping his house we are echoing that love. If you would like to know more about the house, there are photographs displayed on the wall in the Lookout. There is also a history of Jolly Sailor Cottage in the house, written by Cecilie, Tom and Margaret's daughter. Wells is located in the Norfolk coast Area of Outstanding Natural Beauty and we play a crucial role in keeping the area and the town vibrant. 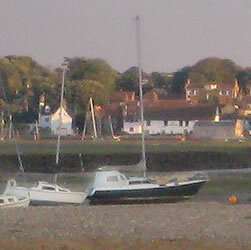 Wells is a seasonal seaside town and is much quieter in the winter months, but Wells has a permanent community working and living in the town. We ask that you help to support this community by spending your money locally - buy local products, use the local independent shops, restaurants and businesses.